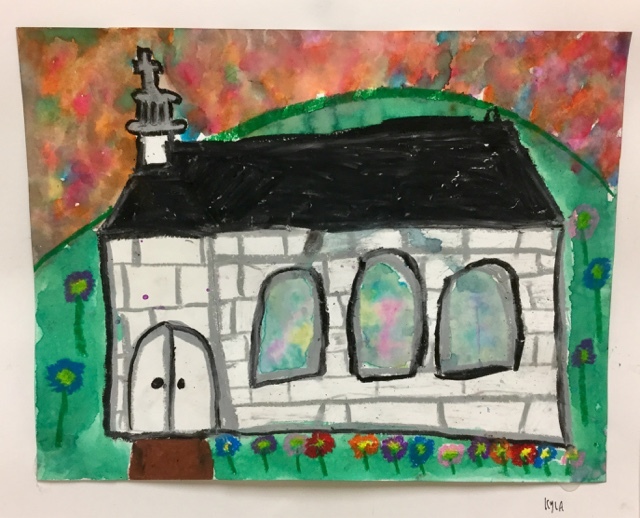 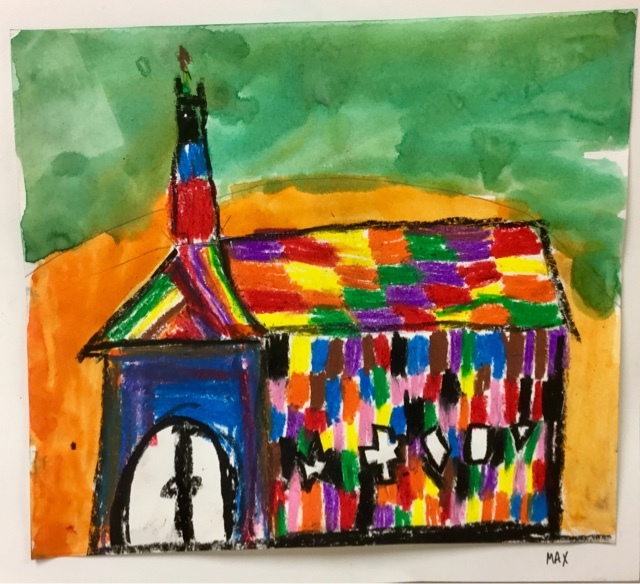 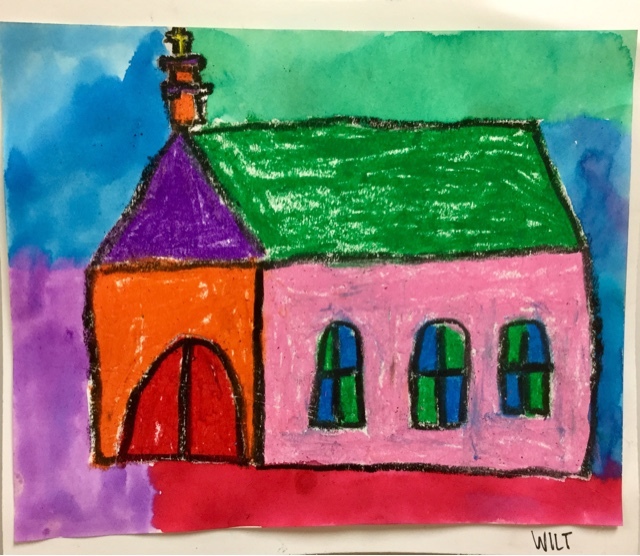 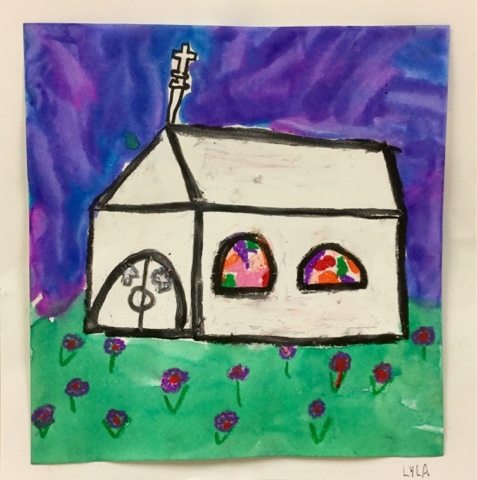 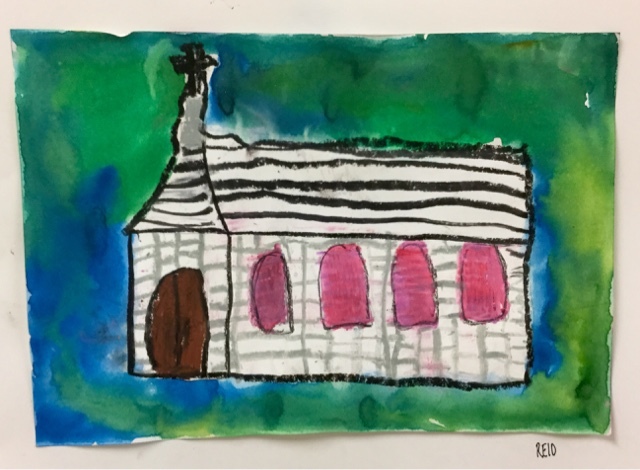 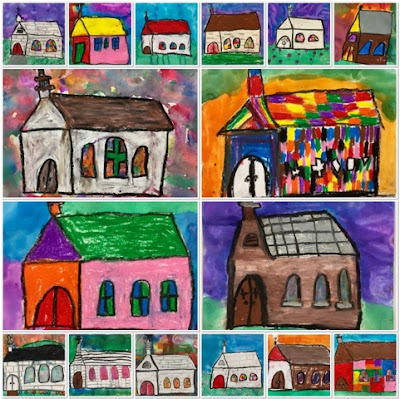 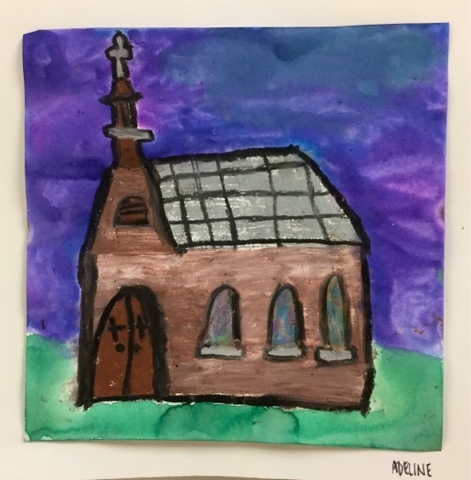 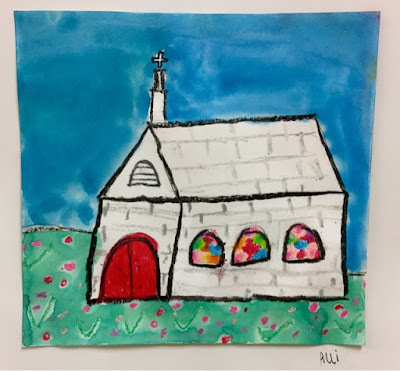 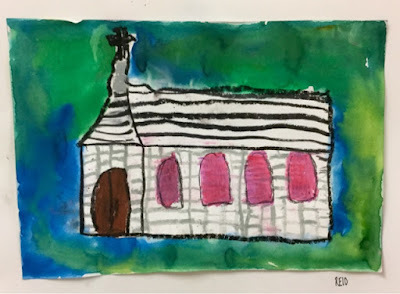 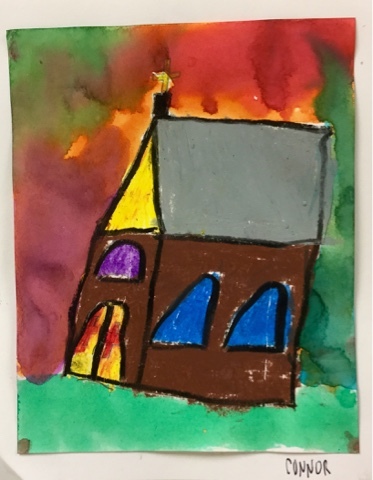 These are John Sperry Churches done by 5th Grade. 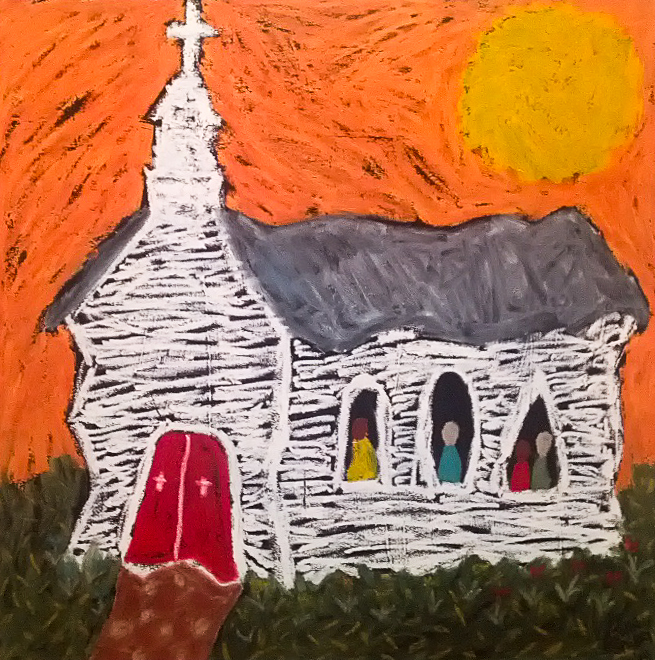 To find out more about John Sperry, click HERE for a recent post. 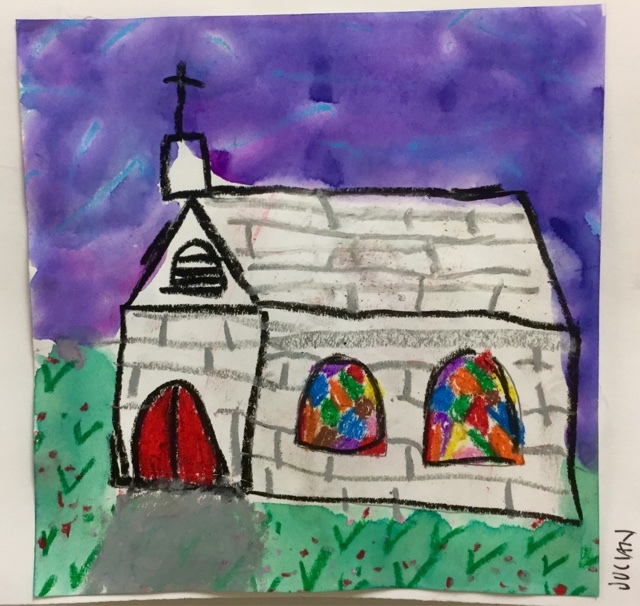 Have a look at John's Church. I introduced John Sperry, folk artist from Maysville, Georgia. 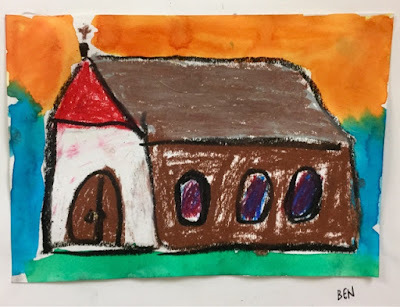 The kids drew a church with pencil. 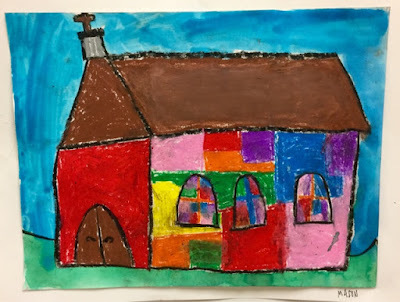 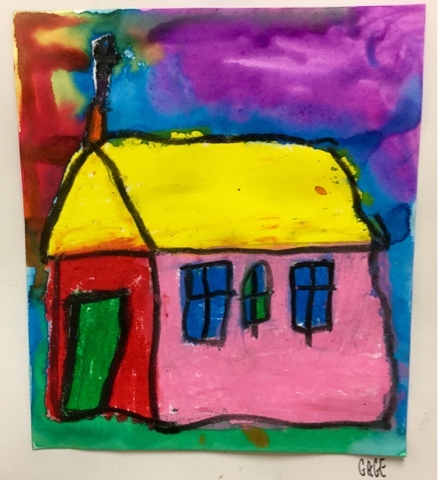 The kids colored with oil pastels. 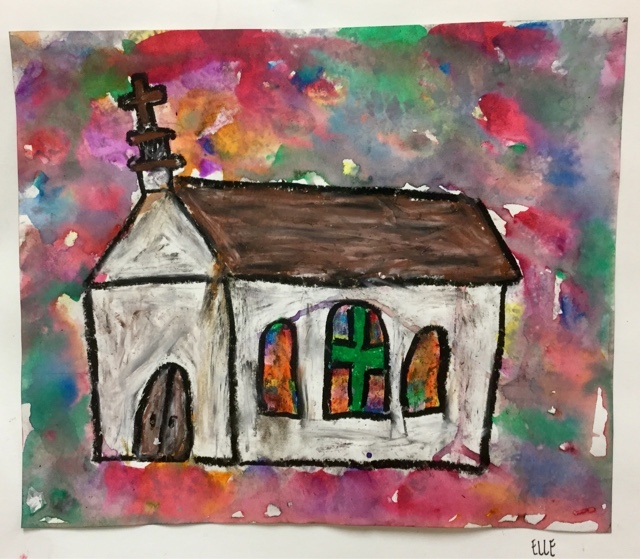 The kids used liquid watercolor to paint. Here's Hozier singing about Church.